The Orlando Magic promote responsible drinking and positive fan behavior at Amway Center. The Magic Fan Code of Conduct and the details of the Magic alcohol management plan that appear below ensure that fans have a safe and fun experience. The NBA, Orlando Magic, and Amway Center thank you for adhering to the provisions of the NBA Fan Code of Conduct. The Orlando Magic offer fans the Bud Light Good Sport Designated Driver program at all Magic games at Amway Center. 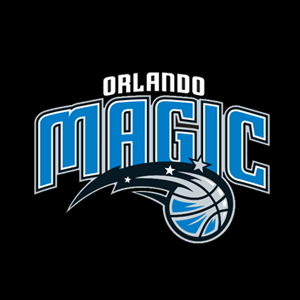 In partnership with the Florida Department of Transportation (FDOT), the Budweiser Good Sport program, and Levy Restaurants, the Magic will execute an in-arena Designated Driver program throughout the 2012-13 season. The Designated Driver program will support FDOT’s efforts to promote the Drive Sober or Get Pulled Over campaign and further expands the national Anheuser-Busch Good Sport initiative, promoted throughout sport and entertainment venues across the country. Magic fans will be encouraged to pledge sobriety and commit to being their respective group’s designated driver for the evening. Those fans 21+ years of age who register will receive an incentive from Levy Restaurants and will be entered into the drawing for a nightly prize giveaway. What is the incentive to sign-up for the Designated Driver Program? Upon signing up at Guest Assistance, located on Terrace Level (section 111) and Promenade Level (section 219), Designated Drivers will receive one (1) voucher for a FREE 16 oz. Pepsi fountain drink, redeemable only within Amway Center and valid the night it is received. Additionally, one (1) winner will be selected each night to receive a special prize Finally, one (1) annual winner will be selected from all nightly winners at the end of the year to receive a grand prize package courtesy of the Orlando Magic.